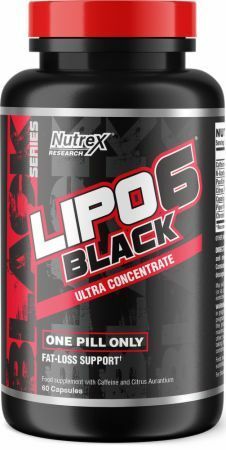 IMPORTANT MUST READ: LIPO-6 Black Ultra Concentrate is absolutely not for use by persons under the age of 21. Do not use if pregnant or nursing. Never exceed the recommended maximum dosage. Do not consume synephrine, caffeine or thyroid-boosting compounds from other sources, including but not limited to, coffee, tea, soda and other dietary supplements or medications containing phenylephrine or caffeine or any stimulants whatsoever. This product contains caffeine. Do not use this product for longer than 2 months. Consult your physician prior to use if you are taking medication, including but not limited to, MAOI inhibitors, anti-depressants, aspirin, non-steroidal anti-inflammatory drugs or products containing phenylephrine, ephedrine, pseudoephedrine, phenylethylamine or other stimulants. Consult your physician prior to use if you have a medical condition, including but not limited to, heart, liver, kidney or thyroid disease, psychiatric disorders, difficulty urinating, diabetes, high blood pressure, cardiac arrhythmia, recurrent headaches, enlarged prostate or glaucoma. Discontinue use 2 weeks prior to surgery. Immediately discontinue if you experience rapid heart beat, dizziness, severe headaches or shortness of breath. This product contains ingredients that may be banned by some sports organizations. KEEP OUT OF REACH OF CHILDREN.